Available in Black. 650mAh. EVOD clearomizer, 650mAh battery, and charger. The heating coil is placed at the bottom which is much better for heating the e-liquid, you dont need to continuously reverse the cartomizer. With the changeable heating coil, replacing the entire cartomizer is the thing of the past, which means it provides a much better vaping experience. 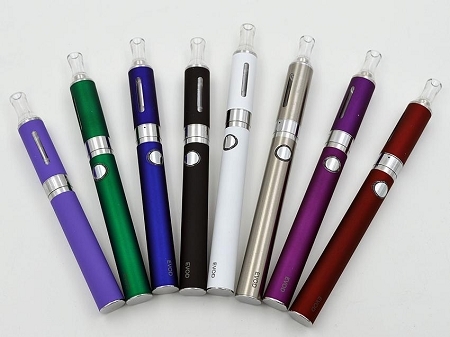 * 650mAh rechargeable manual battery * Clearomizer / Cartomizer (1.6mL) * USB charger cord Instructions: 1. 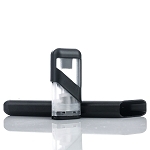 Unscrew the cap of clearomizer by turning anticlockwise. 2. 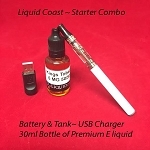 Inject e-liquid into the clearomizer. 3. Screw the cap back and connect the clearmoizer with the battery. 4. Press the switch button 5 times continually within 3 seconds to unlock/lock the battery. Under unlock state, press and hold the switch button to release vapor and take puff. 5. For charging the battery by USB charger, 4.2V and 5.0V are both allowed as input voltage.